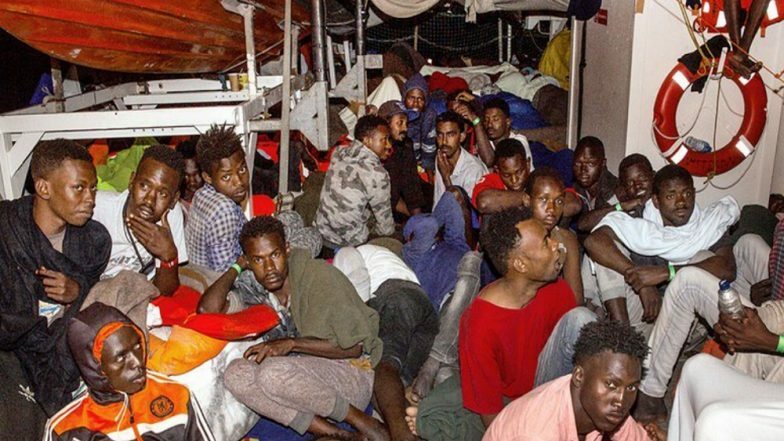 Toronto, March 28: Over 100 asylum seekers who had been rescued from the Mediterranean Sea, have hijacked the ship that rescued them in the first place. The ship’s crew was then ordered by the hijackers to sail for the coast of Malta. European news agencies reported that the rescued migrants turned on the ship’s crew when they were told they were being taken to Libya to be offloaded. A spokesperson for Malta’s armed forces confirmed the ship had been hijacked and said Maltese authorities were monitoring its progress. The hijacked vessel is expected to reach the Maltese waters by Wednesday evening. A spokesperson for the Maltese armed forces said attempts to contact the captain of the ship, Elhiblu 1 had been unsuccessful, MaltaToday website reports. Malta's military too said the ship would not be allowed into its waters. The ship is a Palau-registered vessel. This incident comes even as the EU announced that it would be stopping its sea patrols under Operation Sophia, which has since its launch, rescued thousands of asylum seekers from the treacherous waters of the Mediterranean. The sea patrols are being halted as Italy’s new government has opposed the operation as the ships deployed under Operation Sophia used Italy’s coast to drop off the rescued migrants. Air operations under the operation would continue who would then co-ordinate with Libyan authorities conducting search and rescue missions. "Member states have decided to extend the mandate of Operation Sophia for six months with a temporary suspension of its naval assets while member states continue working on a solution related to disembarkation," said EU spokeswoman Maja Kocijancic. However, Sophia "is a maritime operation and it is clear that without naval resources, it will not be able to carry out its mandate effectively," she added.